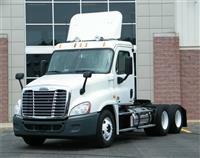 2012 Freightliner Cascadia day cab with a Detroit 450HP engine and an Eaton 10 speed. Air slide fifth wheel, dual aluminum 100 gallon tanks, pw,ac,cruise, tilt & tele steering, engine block heater and much more. 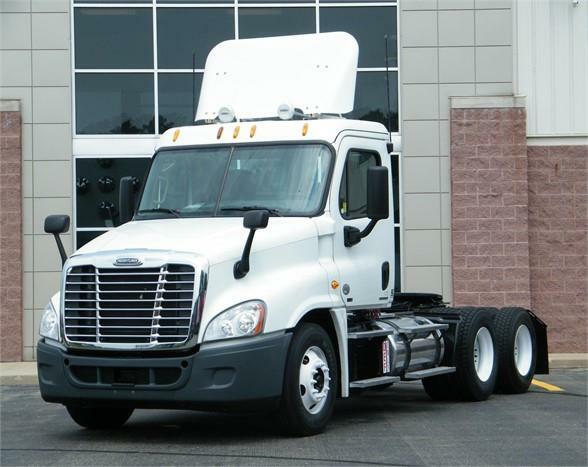 This is Freightliner Corporate truck and will come with a Selectrucks factory 1yr/100k mile engine, transmission and rear diff warranty PLUS a 60 days buyers assurance policy all directly from the factory for FREE. We will also include for FREE a service and DOT inspection plus it has been freshly detailed.